Washington (AFP) - US Secretary of State Mike Pompeo is hoping to stall inroads of Russian and Chinese influence as he visits two of the European Union's most quarrelsome members, Hungary and Poland. The top US diplomat arrives Monday in Hungary and will also visit Slovakia and Poland, in each NATO ally highlighting Washington's role in the fall of communism 30 years ago. Poland, eager for a strong US relationship amid a resurgent Russia, is teaming up with Pompeo to hold a two-day conference on the Middle East, which has drawn limited interest as Europeans balk at President Donald Trump's hawkish line on Iran. 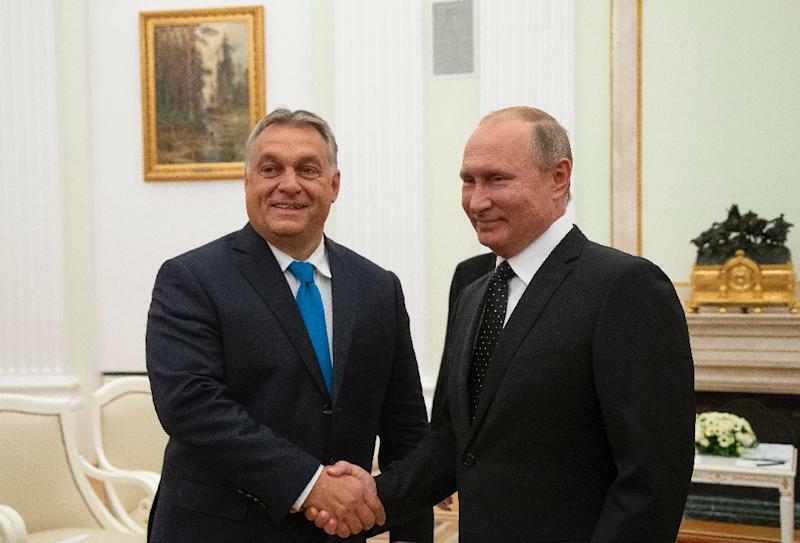 Hungary has drawn especially deep concerns among Western powers as Prime Minister Viktor Orban shows growing authoritarianism, buddies up with Russian President Vladimir Putin despite Western worries over Ukraine and willfully exercises Hungary's veto within the 28-member EU. A US official said Pompeo will raise concerns about Orban's support for the Russian-backed TurkStream gas pipeline, Moscow's financing of the Paks nuclear plant in Hungary -- and especially the country's agreement to let Huawei develop its 5G mobile networks, as Washington accuses the Chinese telecom giant of undermining global security. The right-wing leaders of Poland and Hungary have been among the few Europeans to praise Trump, sharing his hard line against refugees, his extolling of Christian values and his antipathy toward the power of multilateral bodies such as the EU. The Trump administration initially welcomed engagement with Orban, who received the cold shoulder from former US president Barack Obama, but concerns have mounted in Washington that Hungary has moved no closer into the US orbit. Last year, Hungary disappointed the United States by sending two suspected Russian arms dealers wanted by Washington back home. And despite the US ambassador's intervention, Budapest's renowned Central European University last year said it was moving key programs to Vienna due to tough requirements imposed by Orban on institutions it considers foreign. The university was founded by US-Hungarian billionaire philanthropist George Soros, an outspoken proponent of liberal values, who is vilified by the far-right in both countries with imagery that is at times anti-Semitic. The State Department said that Pompeo would not shy away from raising concerns with Orban and would meet in Hungary with civil society groups. 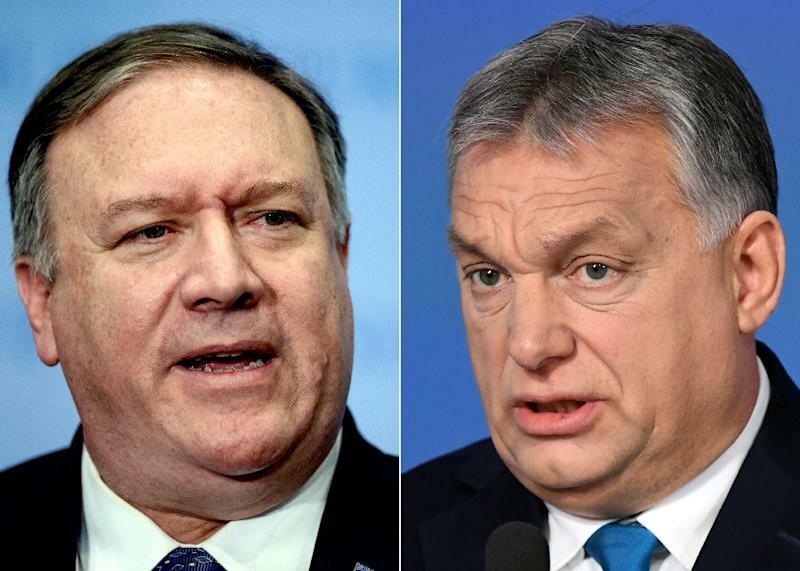 Orban's chief of staff Gergely Gulyas scoffed at Pompeo's meeting with non-governmental groups, telling reporters: "If a US foreign minister meets organizations receiving support from America, then no one should be surprised about that." The US official adamantly defended engagement with Hungary, saying the Obama administration paid too little attention to Central Europe while Putin visited Budapest twice last year alone. "We have to show up or expect to lose," the official said. "Those vacuums that were created by the US not being more strongly present in these places, they do get filled and they have gotten filled," he said. But Joerg Forbrig, an expert on Central Europe at the German Marshall Fund of the United States, said that Orban is a wily politician who knows that Washington has even less leverage over him than the EU, which he has defied for years despite the bloc's power of the purse over Hungary. 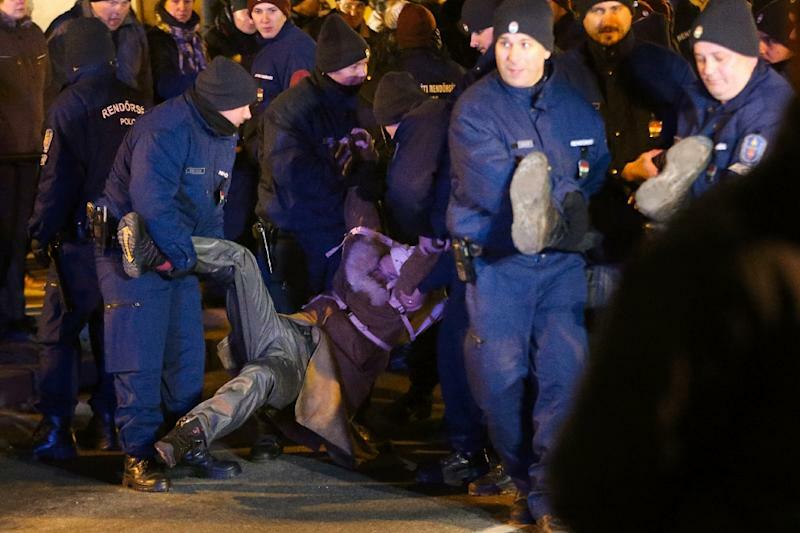 "This small country called Hungary, whether it's on Western values or traditional partnerships or existing integration schemes like NATO and the EU, they are completely spitting at this, and very consciously," Forbrig said. He doubted that the United States and European Union could coordinate much on Hungary in light of Trump's poor relationships with major European allies such as Germany and France. "I'm not sure Orban will be quite laughing Pompeo out the door, but I'm not sure he's taking his trip very seriously," Forbrig said.